If you’ve ever looked at a standard Builder’s floorplan, then you know that it’s not always easy to visualize a space in full dimension, especially if you’re a newbie who’s unfamiliar with standard floorplan drawings. Enter RapidFloorplans.com. Intrigued by the company’s name, we sat down with founder Noorein Ladha, a Mechanical Engineer with over 10 years experience in the 3-D design field, to learn more about their service. 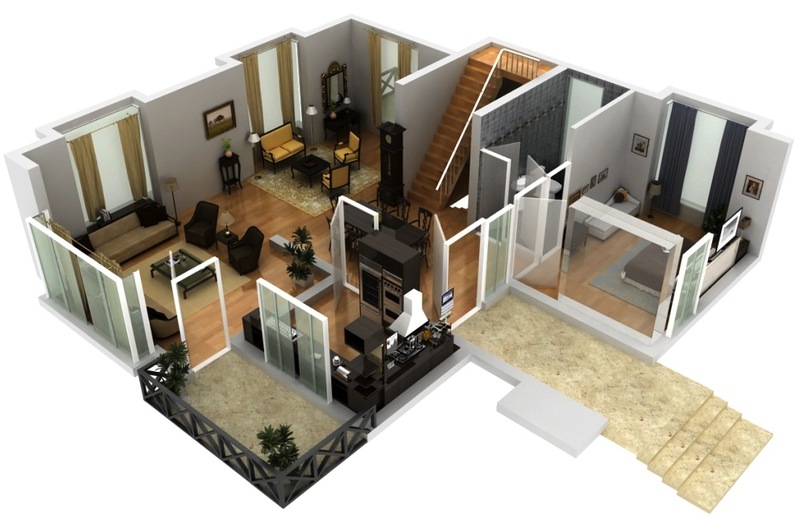 Launched earlier this year, the company offers a range of services to convert your existing standard floorplan into various 2-D or 3-D formats that are more functional and user-friendly. From a standard floorplan, RapidFloorplans.com can create either 2-D or 3-D renderings in which you can customize features and finishes – like flooring and countertops – to make your plan look more realistic. A large catalogue of furnishings and décor can even be drawn from to help to complete the transformation from a plain flat drawing to a virtually staged home! “The 2-D and 3-D renderings with full furnishings will allow potential buyers and tenants to better visualize how the space can be used.” explains Noorein. Just imagine the possibilities: This quick and cost-effective service could potentially save you thousands before committing a large budget to costly purchases or renovation work. Don’t have a standard floorplan? Not to worry. 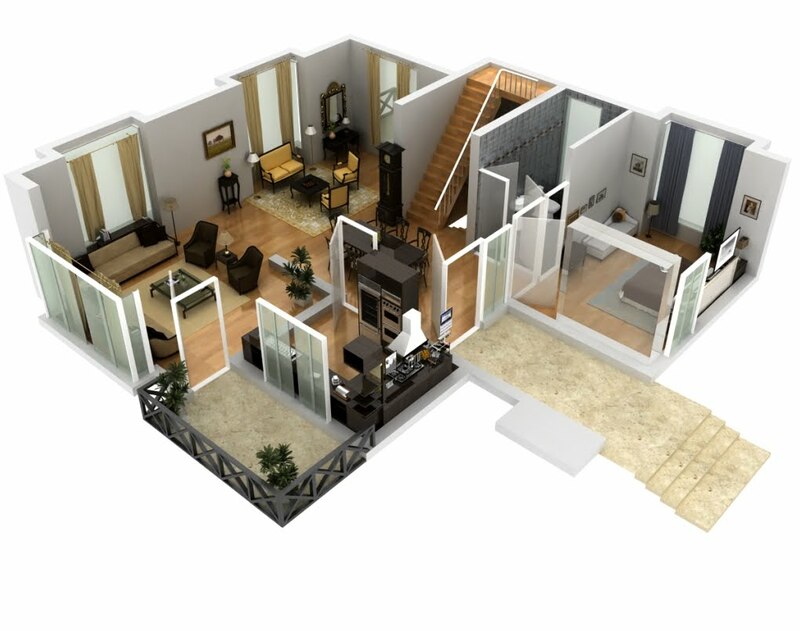 With their photo and measuring services, the RapidFloorplans.com team can also create interactive layouts or create an entire floorplan completely from scratch. It’s that easy! If you’re interested in more information or pricing, please visit RapidFloorplans.com or call 1-800-818-3678 for further details. As mentioned in our earlier post, the winner announcement for the NameOurCondo contest was scheduled earlier today at the opening ceremonies of Buskerfest. As blogged by Cityzen Developments this afternoon, the official name of the newest addition to the St Lawrence neighbourhood will be...BACKSTAGE! Congratulations to Cityzen, Castle Point and Fernbrook on their latest achievement! And a big hats-off to the winner, Adam Thody, and all the other contest participants. Great job everyone! For photos and further details on the winner and runners-up, please visit the official corporate blog of Cityzen Developments here. If you've been following our blog, then you know that we've been following Cityzen, Castle Point and Fernbrook's Name Our Condo contest. How exciting that the winner will finally be announced this Thursday, August 26 at this year's Buskerfest! The announcement will be made just shortly after noon as part of the opening ceremonies of the four-day annual event (details below). Over 3,000 names have been submitted since the contest launched last month. The votes were tallied yesterday and the winner will chosen by a panel of judges from the official Top 10. "We are astounded at the response," says Sam Crignano of Cityzen Development. "With 100,000 unique visitors to the web site, the contest captured the imaginations of folks from more than 140 countries around the world. The judges will have a challenging time to select a winner from the top ten." Congrats to all the finalists! We can't wait to find out the new condo name! Wondering what was going on last night on Blue Jays Way? Jazz players on an outdoor balcony, and passers-by looked curiously at the entourage who welcomed guests as they arrived. It was the long-awaited launch of Bisha Hotel and Residences! Rising to 41 storeys and designed by award-winning Rudy Wallman of Wallman Architects, Bisha Hotel and Residences will be situated in the heart of the Entertainment District on Blue Jays Way, just south of King Street West. This location will be close to the Financial District, steps to popular restaurants, live theatre, sporting events and music venues. Not to mention its proximity to the new home of the Toronto International Film Festival (TIFF). The chic sales centre, along with the building interiors and amenities, are designed by internationally-renowned Munge Leung. Bisha will include a breadth of amenities and services such as 24-hour café, rooftop restaurant, bar and infinity pool, housekeeping and grocery delivery services, just to name a few. It will surely be a popular destination once completed - a place for star-gazing during the film festival, perhaps? For pictures of scale-model and additional project details, visit the Bisha profile page. Ever wondered what goes into naming a condo? 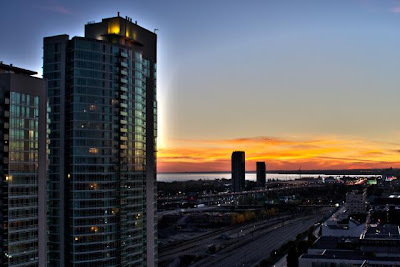 Well if you've been keeping up with the latest in Toronto's condosphere, then you know that the folks over at Castlepoint, Fernbrook and Cityzen have left that task in the capable hands of the project's potential buyers, residents and spectators. With their Name Our Condo contest well underway, the name of the highly anticipated development at the corner of Yonge and Esplanade will be chosen by a panel of judges from the top 10 name submissions. The winning submission receives $5,000 and the glory of having their selected name imortalized. The 2nd and 3rd place submissions receive an iPad. Click here for information on this exciting new development, or visit http://www.nameourcondo.com/ to view and vote on all the entries, contest updates and more. Update: As announced on Aug 26, the name of this development will be Backstage. We have since updated this condo's profile page to reflect this change, which can be found here. 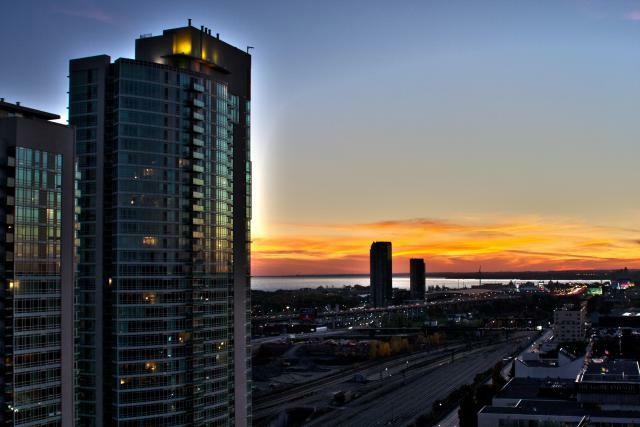 After six weeks of receiving your incredible photo submissions and votes, we're pleased to announce the first winner of LiveHigh.com's CondoCapture 2010, presented by Tridel. Congratulations to Sticker24 who won an Apple iPad with their photo entry titled Tridel Element Condo View. Congrats, Sticker24! We'll be contacting you shortly with prizing details. Remember, the contest is not over! Submit your condo photos today for a chance to win our 2nd iPad giveaway. Contest runs until September 15th. Honourable mentions go to Aelita Intl for their entry titled White Summer and to Smaku for Toronto skyline at night. Aelita and Smaku, we're in complete awe of your photography skills! Follow the jump to view their condo shots.